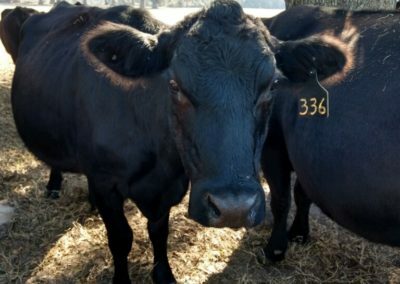 A 2013 interview of Baldwin produced by the American Angus Association (of which he was president in the early 2000s) shows a man of profound perspective—and humility. 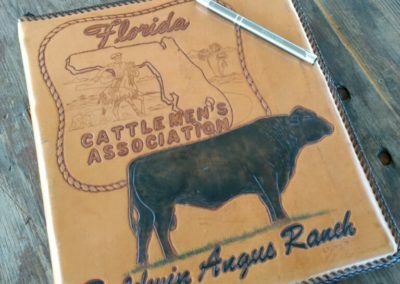 When recounting his accomplishments and rise in the cattle industry, he plainly states the facts as though telling a history not his own. 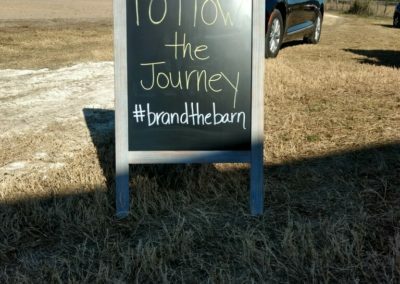 He uses “we” far more than “I,” referencing his wife and children who are all involved in the ranch’s operations in some way or another. 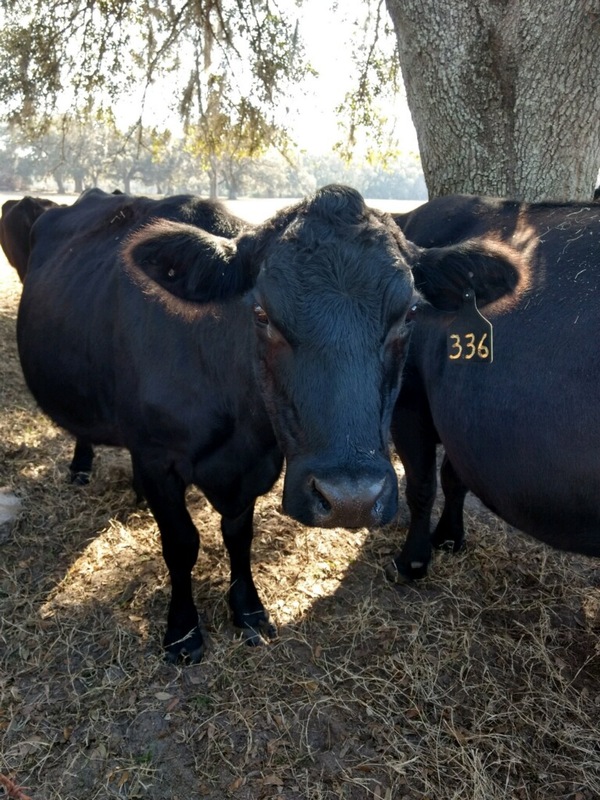 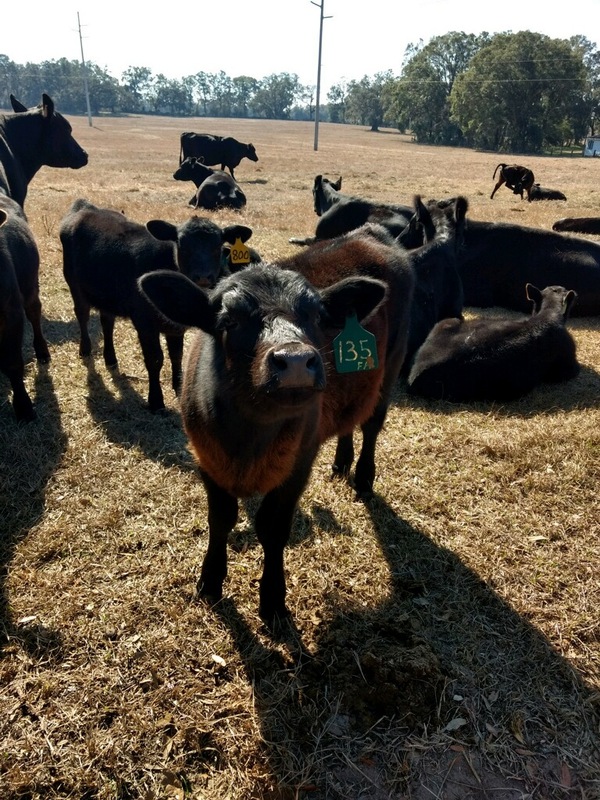 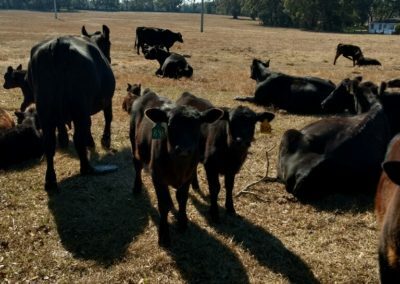 And the most constant refrain, as he explains how a six year-old Ocala boy with no farming experience became the patriarch of a 600-acre black Angus empire, is one of blessing and thankfulness. 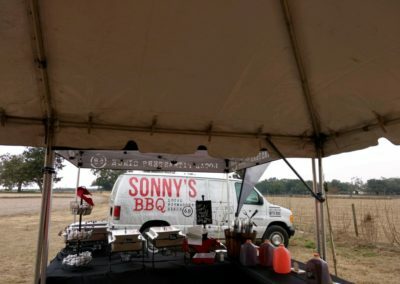 “Seems like ever since I was a young boy, it always felt like the good Lord blessed my efforts—far more than I deserve,” he says with a mild, self-effacing smile. 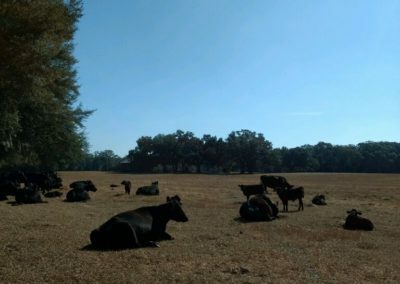 Though he has every right to play the self-made empire-builder, Leroy Baldwin, sitting on a garden bench in the bright springtime sun, is deeply aware of himself as a man gratefully indebted to the generosity of the Florida land—often as mercurial and cruel as it is fertile—and God. 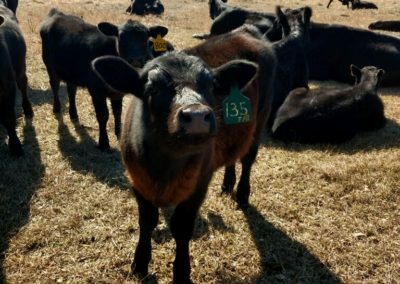 Three years later, in his 2016 obituary, his wife Sharon recalled his especial love for Psalm 50, with its “cattle on a thousand hills.” “He always thanked God for letting him be in agriculture and in Marion County,” she said. 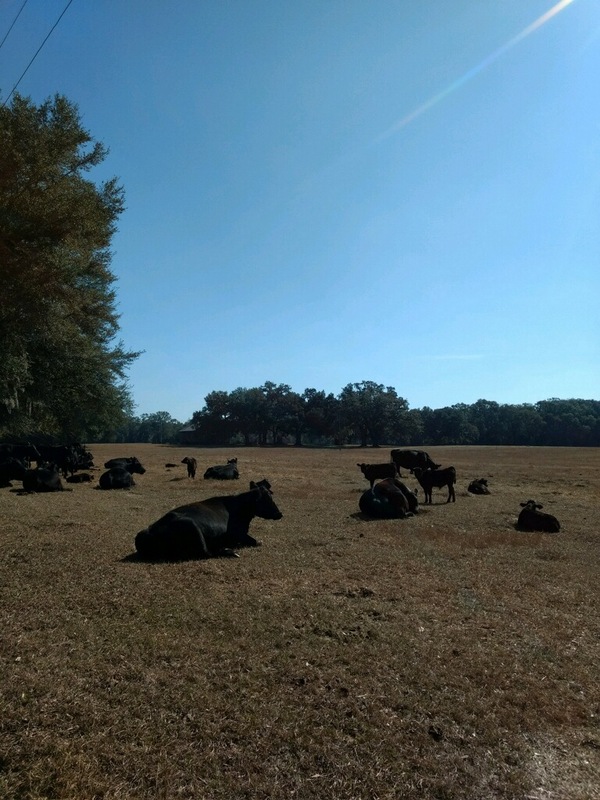 This past Wednesday, looking out over the seemingly endless pastures of Baldwin Angus Ranch with their cattle, the feeling of blessedness was contagious– although it looked like a typical Florida winter, it wasn’t difficult to imagine that the whole ranch must look like heaven on earth in spring. 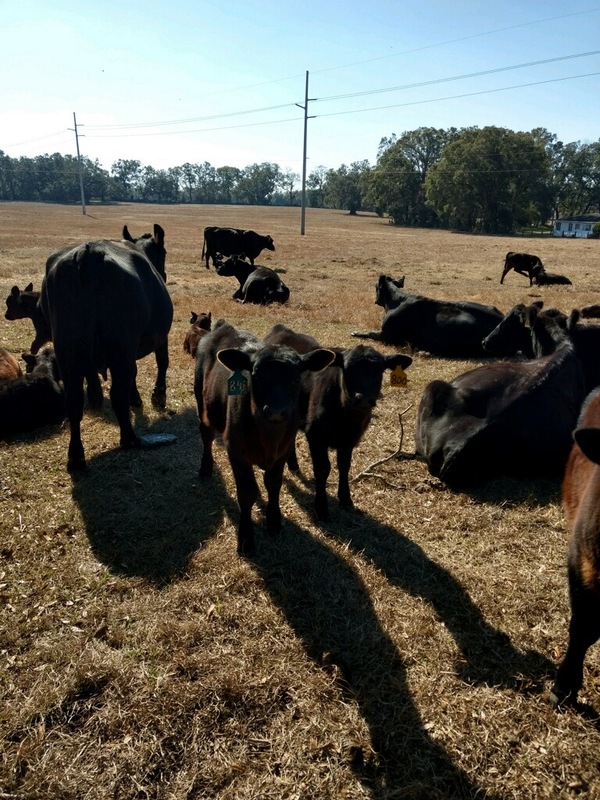 And despite the fact that I-75 was visible across the fresh plowed field, the only sound was the wind and the murmur of the nearby cows nosing at their morning hay. 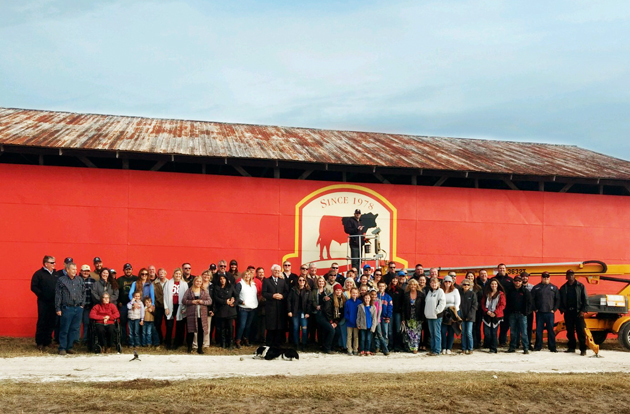 It was a fitting start to a special day on the ranch, a day of celebration for both the Angus industry and the whole Baldwin family. 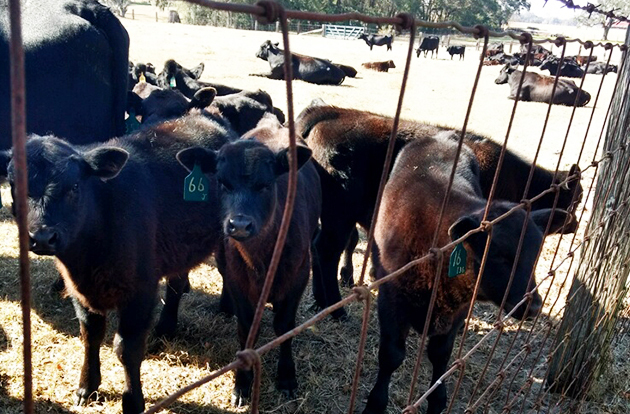 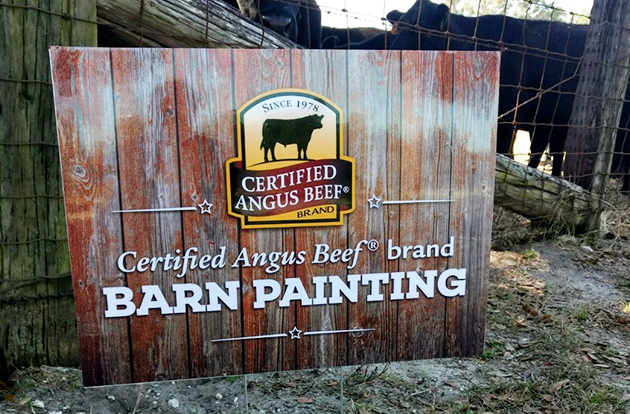 Baldwin Angus Ranch was recently chosen to be the kickoff of a new and unique 2018 marketing campaign by Certified Angus Beef®, the non-profit arm of the American Angus Association that supports Angus farmers and their families by driving demand for the breed. 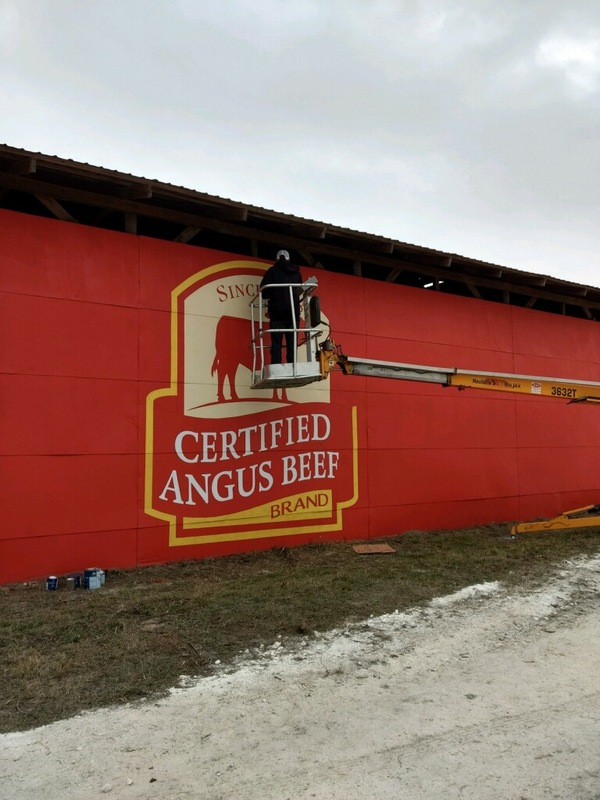 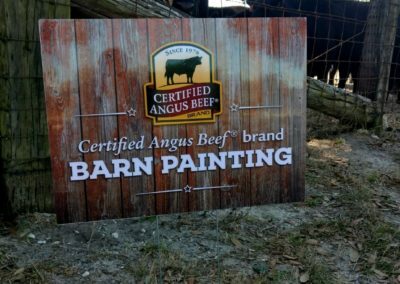 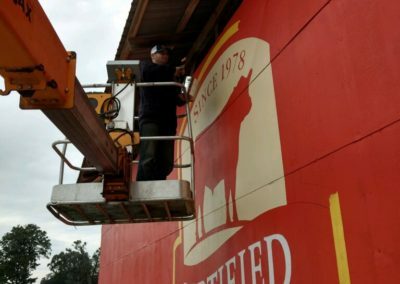 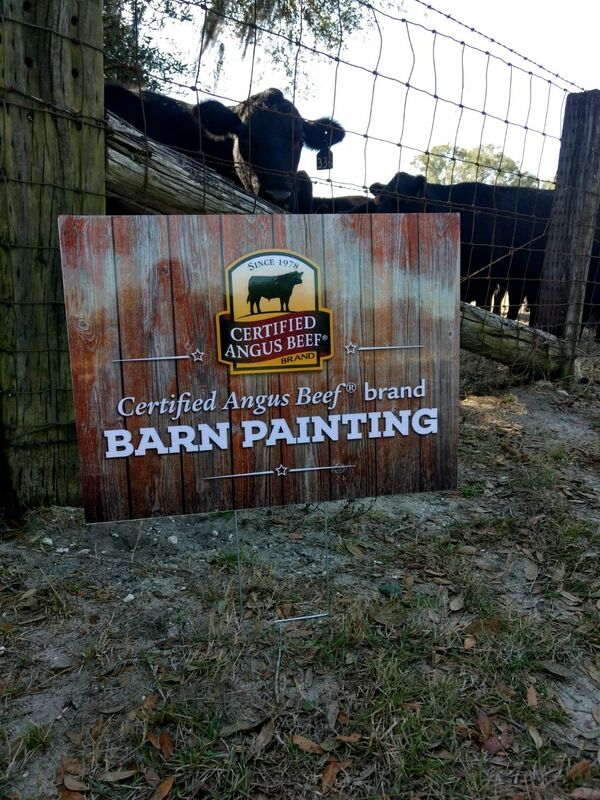 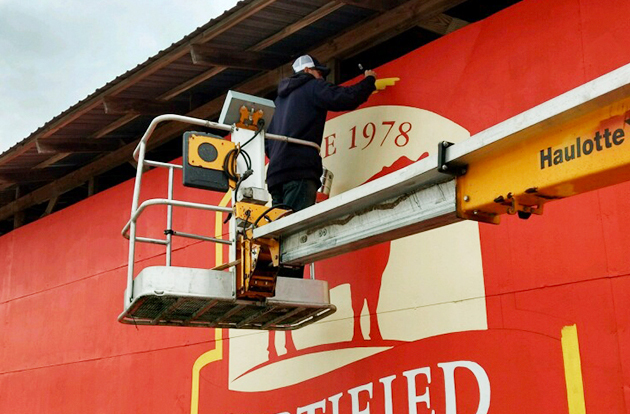 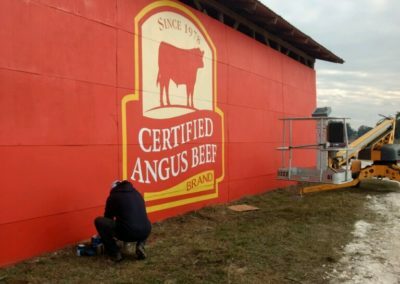 Their mission this year is a return to old-fashioned agricultural advertising with a barn-painting tour in which 40 barns across the country will be painted with the CAB signature logo of a black Angus on a yellow field. 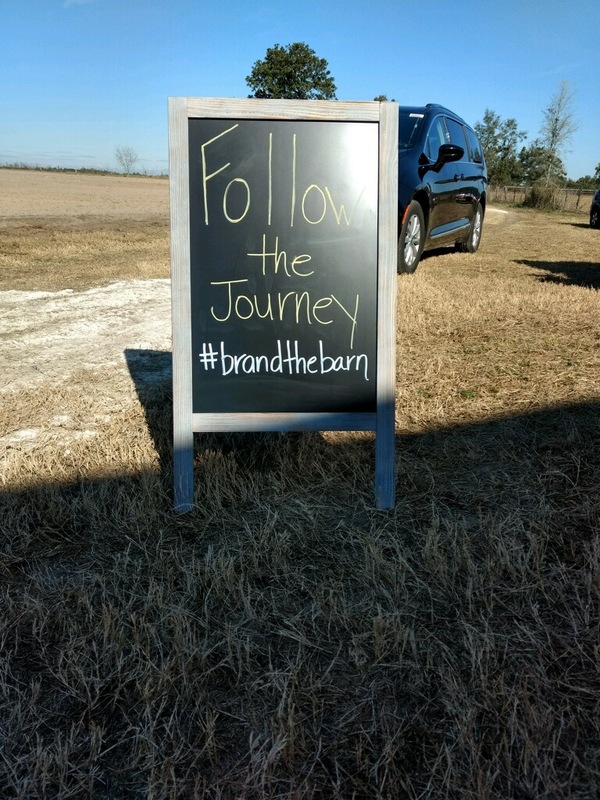 The Baldwins were their most logical first stop. 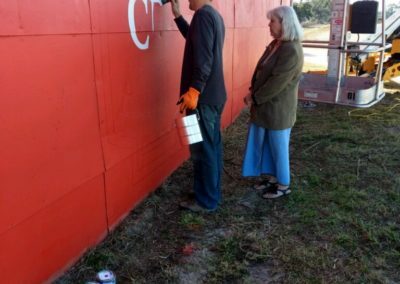 The bright red barn I stood in front of with Mrs. Baldwin last Wednesday morning is now quite likely one of the most visible landmarks along I-75 through Marion County, courtesy of veteran barn painter and Ohio native Scott Hagan. 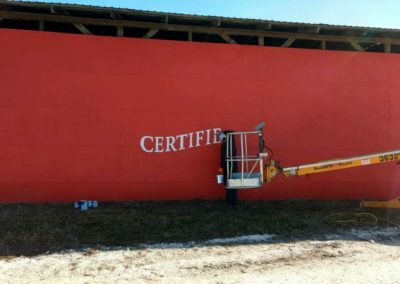 Throughout the day scores of visitors, well-wishers, and representatives from regional agricultural industries streamed steadily in to the ranch to congratulate the Baldwins and watch Hagan’s faint, precise stenciling transform into a brand new I-75 landmark. 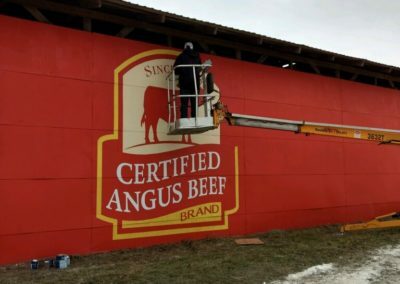 Grandchildren, great-grandchildren, and the family dog Lou raced about in between a veritable who’s-who of food distribution and agribusiness reps, while a Sonny’s catered lunch smoked fragrantly behind the barn and Hagan steadily painted—literally above it all, with the help of a mildly dizzying mechanical lift. 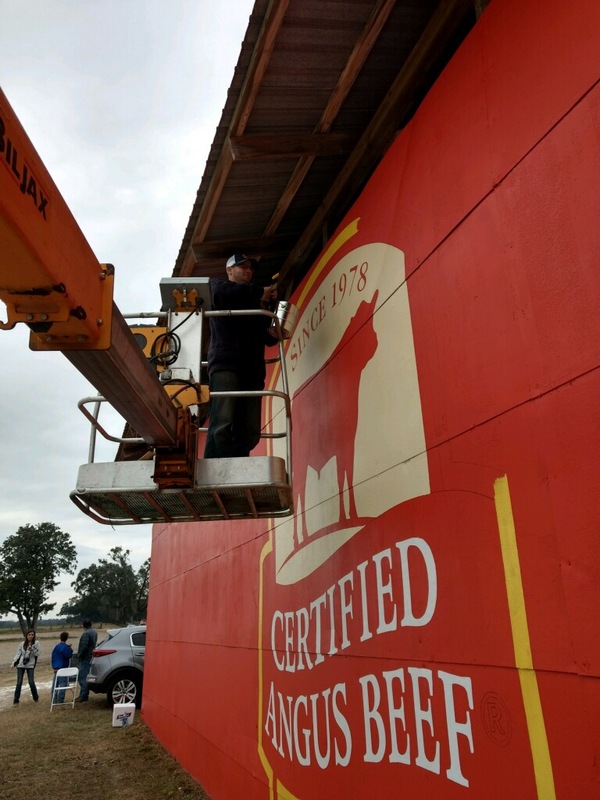 In between the festivities (and while he was still firmly on the ground), he told me that he assumed the mantle of The Barn Artist for fun, when he painted the Ohio Buckeyes logo on his dad’s barn. 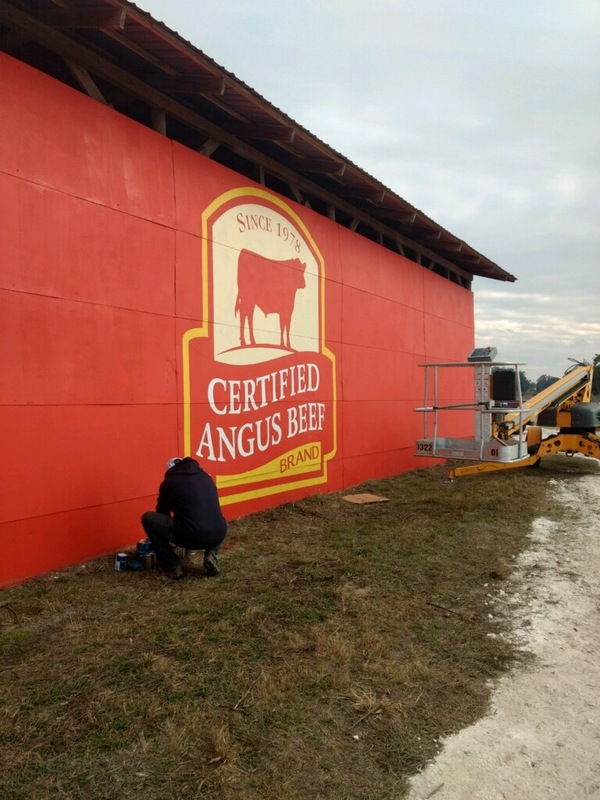 The local newspaper loved it, and soon Hagan found himself painting a barn in each of Ohio’s 88 counties for the state’s Bicentennial Celebration. 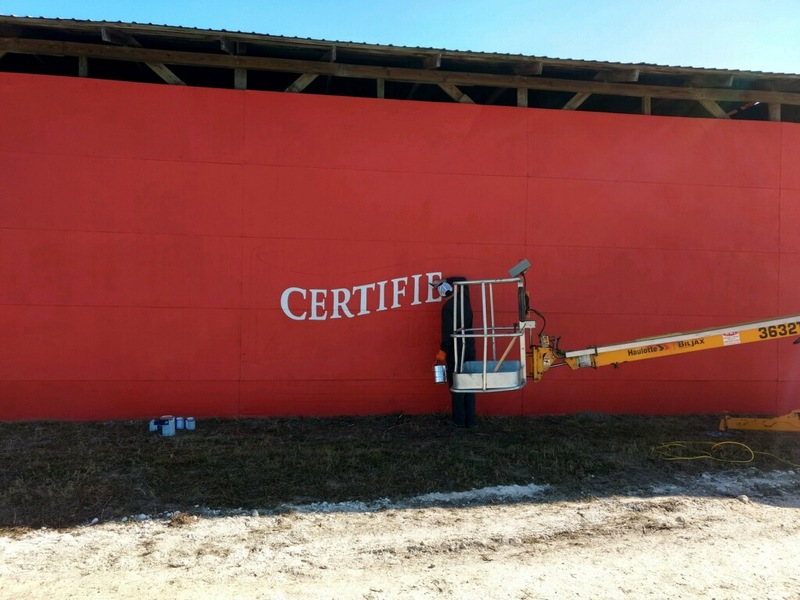 He’s been painting barns across the country ever since, and dreams of hitting all 50 states. 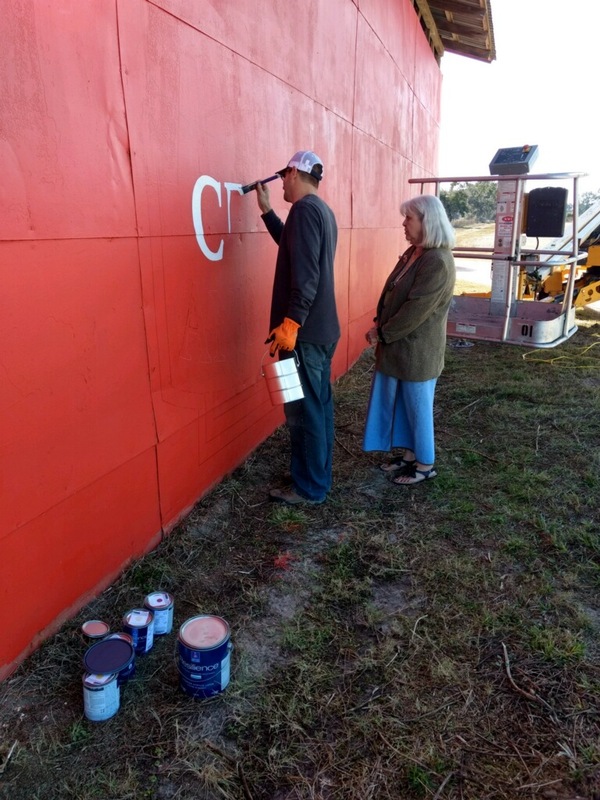 “I’m looking forward to Colorado…toward the end of the summer,” he said, without skipping a brushstroke, “and Oregon. 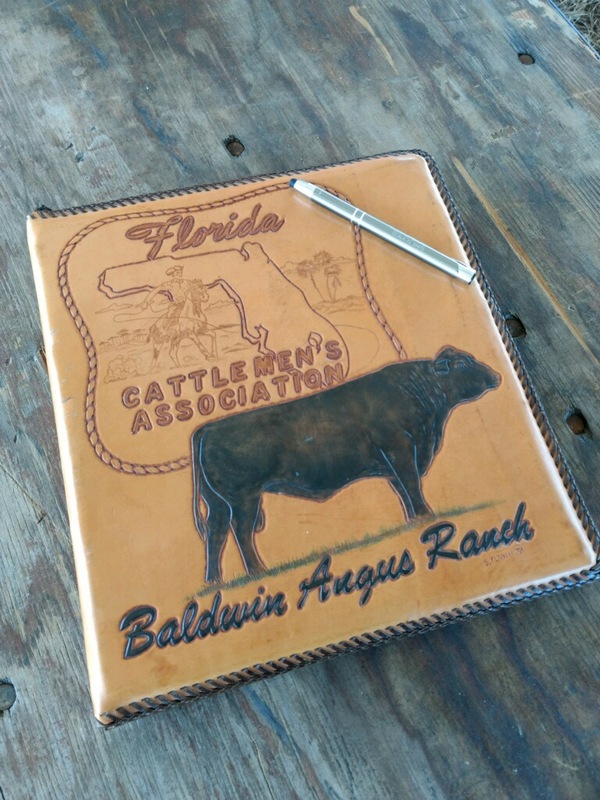 I really look forward to going there some day.” The Baldwins’ barn is his third in the state of Florida, and his second in Ocala. 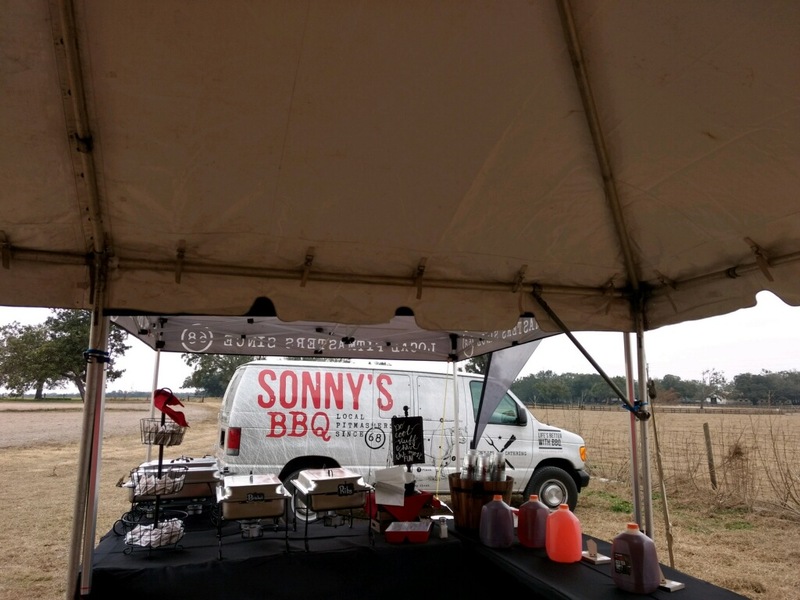 This article was written by Brooke Gregory, Freelance Writer with the Showcase Properties Marketing Team.